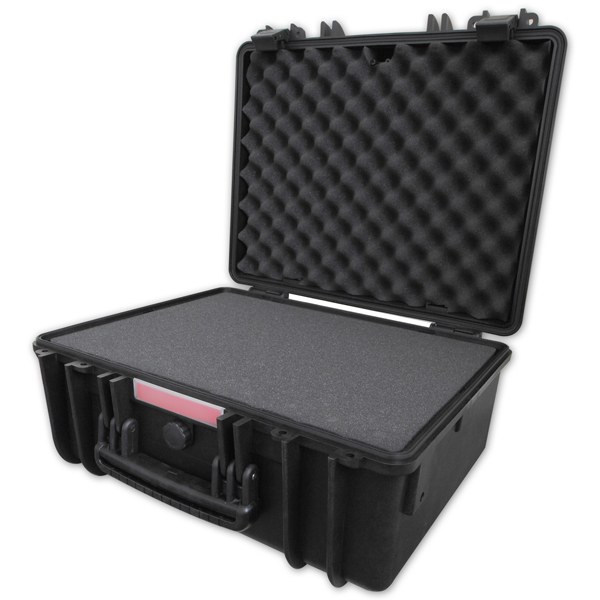 Flightcase Warehouse are pleased to announce the arrival of the new IP67 rated waterproof cases that are the latest edition to the highly successful Spider Range. The Spider waterproof case is designed to withstand the most severe conditions, offering the highest resilience and shock resistance needed to protect your equipment. Manufactured from engineered resin and glass fibre. IP67 rated waterproof and dustproof seal. Pressure valve to regulate internal pressure. Pick and pluck block foam in base. CNC inserts available on request.